OECD's top tax officials visited the Cayman following the jurisdiction's implementation of new legislation regarding economic substance that ensures companies have enough economic activity on the Island and not just a mailbox. Pascal Saint-Amans, director and head of OECD's Harmful Tax Practices unit, and Melissa Dejong met with Cabinet, caucus members, regulators, and business and financial services representatives on Jan. 3 and 4. In a statement from the financial services ministry, the centre's director, Pascal Saint-Amans, said that he did not receive any complaints from governments regarding Cayman's exchanges of information for tax purposes. "All of Cayman's efforts are building a positive reputation," he said, because the jurisdiction has "done the job in the area of transparency". The OECD representatives, who visit jurisdictions as part of their key role in advancing the OECD tax transparency agenda, also noted Cayman's engagement in global tax matters, the entrenchment of tax issues on political agendas, tax challenges presented by the digitalisation of the global economy and the need to level the global playing field in financial services. 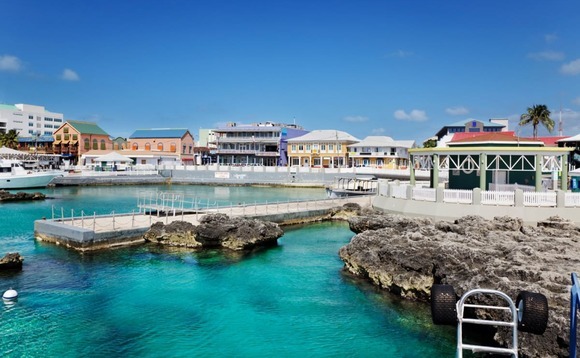 Although Cayman's new substance legislation was passed in response to the threat of a EU tax blacklisting, the standard used to ensure sufficient economic activity by resident companies was developed by the OECD Forum to counter harmful preferential tax regimes. These are tax regimes that offer tax incentives and concessions to purely tax-driven operations that involve no economic activity. Cayman Islands premier Alden McLaughlin said the OECD visit was helpful in giving an impartial view of Cayman's regime and its progress. "Their comments to the various audiences confirm that Cayman's standards, when considered alongside those of our peers and larger economies, are currently keeping pace with developments," he said. "Of course, as standards evolve, all jurisdictions will have scope to further enhance their regimes. Government recognizes this and is committed to developing our framework in a way that meets these standards, while also best supporting our local economy."